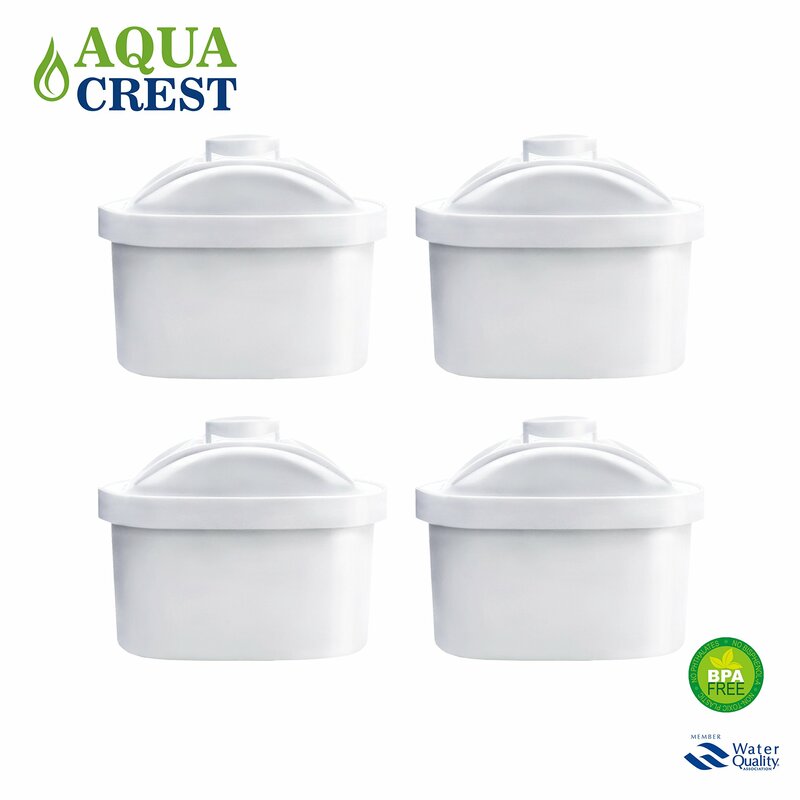 Home › Home and Kitchen › Aquacrest Pitcher Water Filter Replacement For Brita Mavea Maxtra 105731 1001..
Aquacrest Pitcher Water Filter Replacement For Brita Mavea Maxtra 105731 1001..
Package Quantity: 4 The AQK-07 micro-screen reduces release of carbon particles into water.Thefilter is fast. No pre-soaking to activate filters. The filter is steamsterilized and then vacuum-sealed to maintain its ready-to-use condition.Thefilter is safe Contains silver to provide antimicrobial protection and extendfilter life. We recommended that the filter be replaced within 2 months. Certified by: BPA free, WQA. We focus on quality.